Today Discovery Programs offers a broad range of classes for babies through teens, from ballet and gymnastics to art and parenting workshops. Discovery Programs began in 1973 when founder and executive director Lisa Stark began her own ballet school and the Walden School opened their doors to the public with an interesting after school program for the community. In 1973, the Walden School, at 88th and Central Park West, a renowned private school in Manhattan with a progressive philosophy, opened its’ facilities to the public offering an ambitious after school program. At the same time, Lisa Stark, a professional dancer and actress started her own ballet school, New Dance Workshop, on the upper westside with 9 children from the neighborhood. At the end of the the first season, the enrollment had grown to 60 students. Parents from the Walden after school Program pressed the Director to hire Lisa to teach a ballet class for the Walden Program and she agreed. Six months later, Lisa lost her lease for her school and she brought all her students to the Walden Program and Lisa was made Coordinator of the Dance and Gymnastic Classes of the Walden after school Program. In September of 1975, she recruited outstanding gymnastic coaches, Rosemary Stanfield and Earl Fergusson and dance teachers, Bonnie Felipe and Nancy Dow and the Dance and Gymnastic Department exploded to 88 classes per week. 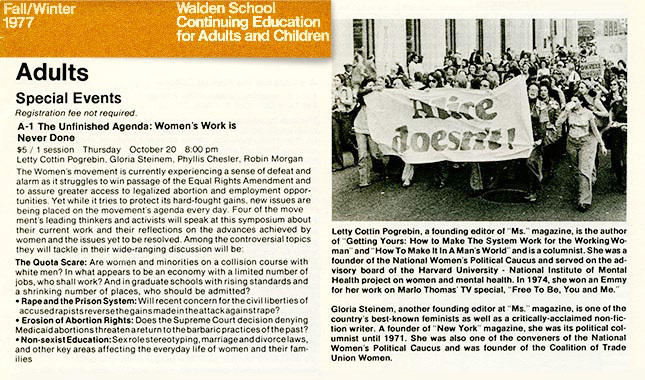 In 1977, Lisa Stark became Coordinator of the entire Walden after school Program. The Program was renamed, Walden School Continuing Education and was expanded further to include an adult division featuring seminars and classes with artists, writers and scholars including Jacques d’Amboise, Gloria Steinhem and Morris Dichtstein. In 1978, Barry Geisler, former President of the New York Road Runner’s Club and National Director of the Age-Group Running Program, started an after school track club for the Walden Program. It continued for over 10 years. The children came from public and private schools throughout the City. Under his leadership, those children became National Cross-County Champions and two of them, Shola and Nnenna Lynch, became National Track Stars winning the Millrose Games, and numerous U.S. Titles. Claude Meliarenne, who started in the program as a nine-year old, was on the National Championship Team and grew up to become Business Manager of Discovery Programs and Coach of the Millrose Team. Between 1977 and 1981, the children’s Gymnastic Division was led by U.S. National High-Bar Champion, Richard Martin and his wife, Lynn Perrott who were followed by Vladimir Reyson, a top U.S.S.R Olympic Coach. The after school Gymnastic Team competed and placed second, fourth and sixth at the U.S.G.F. NY State Competition. Nancy Dow expanded the children’s Dance Division to include 400 students and choreographed and directed imaginative recitals that thrilled parents and children. Broadway and later film star, Hector Elizondo, and television star, Katherine Helmond led a new theater program. Cynthia Olivera, a brilliant teacher from Bank Street, joined the program as the first Coordinator of the Toddler Program. The children of no less than six editors and the publisher of The New York Times were students. 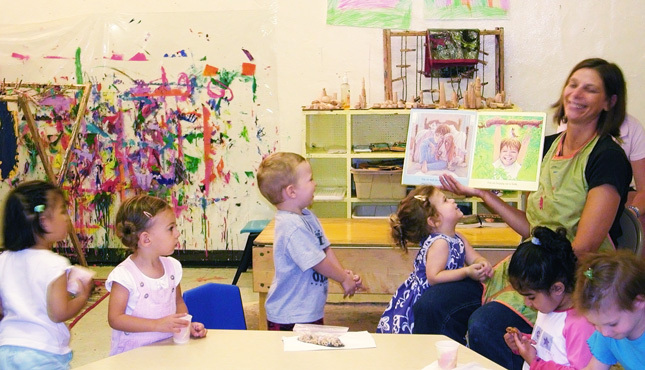 In 1982, Walden School Continuing Education introduced an expanded Toddler Division, filling a whole floor of classrooms at the Walden School with 800 toddlers coming for Gym, Music and Art classes each week. They came from as far away as all 5 boroughs of New York and New Jersey. In 1983, on the advice of Jack Neimeyer, former President of Bank Street and Consultant to the Walden School Board, the Walden Continuing Education Program, became an independent corporation under Lisa Stark’s leadership and was renamed, Discovery Programs. Discovery Programs then expanded their offerings to PS6, PS158, The Ramaz School, Hebrew Arts, PS 9 and Park East Synagogue. From 1983 to 1986, Discovery grew to 2800 students and 75 instructors. Costache Gheorghiu, former Coach of the Rumanian Olympic Team was Head Coach of the Gymnastic Program. His students competed and placed second at the U.S.G.F. NY State Competiion. Paul Yang, and Professor Meng Kui Wang, former Olympic Coaches from the People’s Republic of China headed the PS6 and the other satellite gymnastic programs. The late Bertin Rowser, a magnificently talented teacher and director led the theater program, mounting productions of A Chorus Line, and reviews featuring songs of legendary Broadway composers such as Cole Porter, Frank Loessor, Rodgers & Hart. with an average of 65 children and teens in each productions. Bertin was later recruited to head the first Musical Theater Program for Teens at Julliard. In September of 1986, Walden School became the Walden Lincoln School, and Discovery Programs moved to its present location in the Ansche Chesed Synagogue at 251 West 100thStreet at West End Avenue. Not knowing what to expect with the location change, we were thrilled to see that close to a thousand students followed us and the Congregation and West End Avenue families welcomed us with open arms. From 1987-1989, Discovery Programs opened Discovery Programs East at 425 East 89th Street. During this period, Lynne Pidel and Anne Lall, led the dance program and Jan Brecht led the Toddler Program. 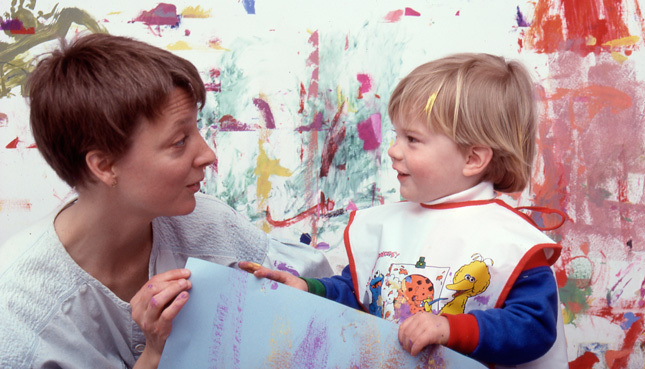 From 1993 to 1997, Toni Wisti and Stella Moon were the stars of the Toddler Faculty and both Toni and Stella served as Coordinators and Program Directors for many years to follow. Neither of them could walk down Broadway without being besieged by neighborhood families. In 2008, Lisa recruited Elaine Winter, former Lower School Principal of the Little Red Schoolhouse as Director. Elaine brought the expertise and touch that has made our Early Childhood Programs explode. The Discovery Faculty and Admin Staff have always been very much a family. Under Elaine’s leadership they are even closer and each of them feels privileged to be working with her. Tonio Perez, expertly leads the gymnastic program and many special events. Parents and children follow him like the Pied Piper. Liz Vacco, the head of the dance and theater classes has become a Discovery Star in her own right initiating our Annual Nutcracker Suite Performances and building on the curriculum legacy of her predecessors, Nancy Dow and Lynne Pidel. In December of 2010, Katie Kheel, a much-loved and experienced early childhood and dance teacher for more than five years at Discovery, became our Director. The entire Discovery Staff supports her selection and are excited to have her leading them. At the same time, Marsha Greenberg, came on board as our Educational Consultant, overseeing the Early Childhood curriculum and leading the on-going training of our ECE faculty. Over the years, we have seen that most children don’t come for just one class but indeed, grow up in Discovery Programs. Parents are always marveling at how long their children have been coming to Discovery. They find a particular art or sport and teacher that sparks their imaginations. They become part of another family and interest outside of home and school. And our youngest students take their first steps “on their own” in learning to share and be part of a class….in their first introduction to school. Executive Director, Lisa Stark, oversees the whole program, works closely with Discovery’s staff and faculty developing the future course of the Program and remains committed to staffing Discovery Programs with great teachers and programs that generations of families will love and remember.